(29 cm), lxxxiv, 242 pp., illustrations. 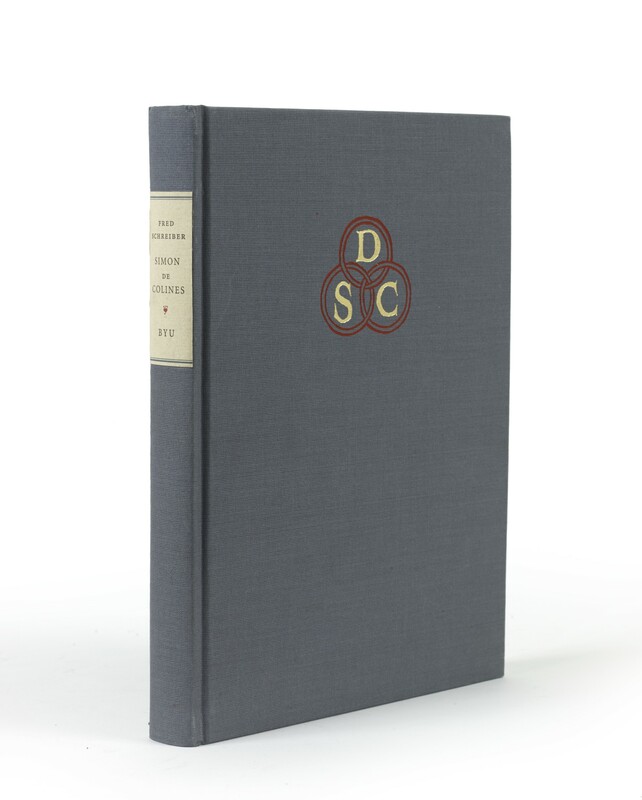 Publisher’s blue grey cloth, SDC monogram stamped in gold and red on upper cover, paper lettering piece (no dust jacket issued). 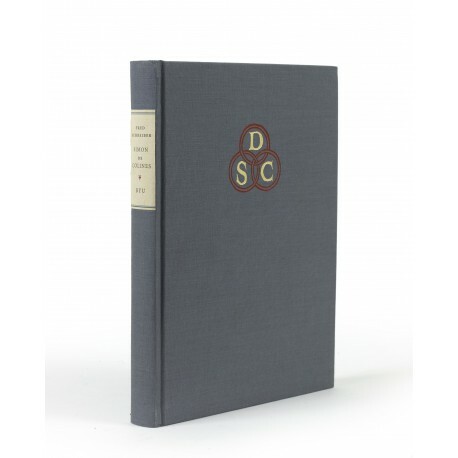 - The detailed, well-annotated descriptions are accompanied by 73 reproductions of title and text pages. Facsimiles of six states of the printer’s “Cuniculi” and “Tempus” devices are provided. Two catalogues of Colines’ publications, one probably issued in 1545, the other in 1546, are reproduced in an appendix (from the originals at the Catholic University, Louvain). Designed by W. Thomas Taylor and printed in an edition of 750 copies. ¶ Excellent, unmarked copy.